Our first mini golf game of the season–exhibition only, no wagering!–just happened. Dale won this one. 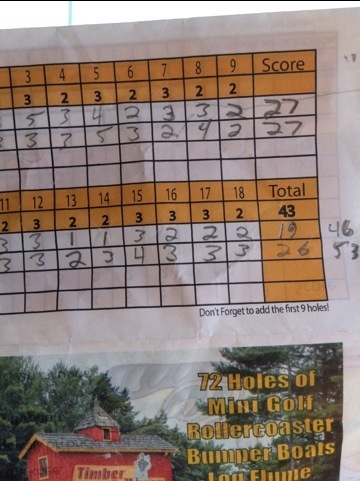 My game fell apart in the back 9 while Dale hit his stride with back-to-back hole in ones. Or is it holes in one? Or holes in ones? I’m on holiday so I’m not looking it up.